Social media deals in attention. 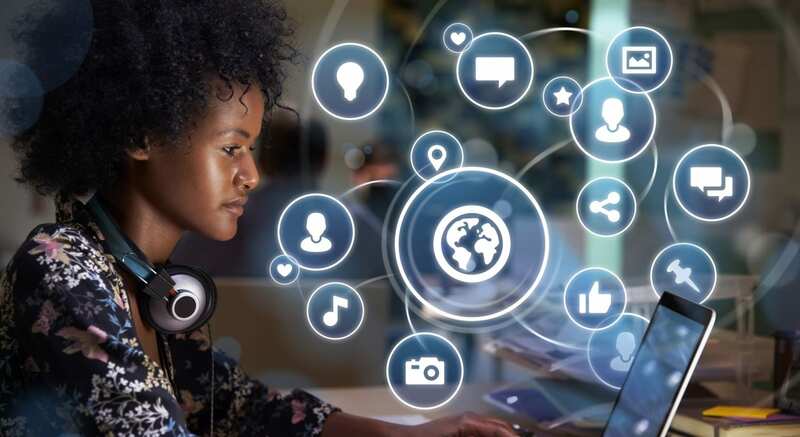 Attention generates billions in ad revenue for networks and enables social media influencers to monetize their content through brand sponsorships. Shadow banning is when networks deny people this attention by making their content invisible to others. Shadow banning blocks users’ content in a way that keeps them oblivious to what’s going on. They can continue to post and interact with others, but their messages won’t appear in the feed and they won’t show up in search results. Networks assume that banning a user completely will simply cause them to open a new account so instead they “demote” their content in the hopes that they’ll give up and move on to a different platform. In fact, you can only suspect a shadow ban when experiencing an extreme decline in engagement or if a follower alerts you to your disappearance. It’s also something you’ll never be able to confirm. Twitter, which has already been found to censor over a quarter million tweets in turkey from 2014 to early 2015 and shadow ban tweets containing leaked documents in the US, popularized the term again in 2018 when President Donald Trump accused the network of shadow banning prominent Republicans. The accusation followed a Vice News report that a number of supporters of the US Republican Party have limited visibility on the platform. Typing in their names in the search box didn’t auto-populate their accounts, thus making them almost impossible to find. An Instagram shadow ban is when your hashtags become undiscoverable, meaning your posts don’t show up in the hashtag feeds of anyone who doesn’t already follow you. There, censorship seems to be less about politics and more about women’s bodies. Instagram, the platform that deleted photos of female breasts and restricted photos tagged ‘#curvy’ while allowing tags such as ‘skinny’ and ‘anorexia’, now appears to be shadow banning its plus-size users. “I made it as far as 80k the first time, before being deleted for no reason. This time I was close to 60k when my followers dropped thousands overnight a week ago, and my account stopped growing,” commented Vivienne Rose. “I have appealed my account hundreds of times over the last several months, and Instagram has not responded even once. The followers I have accrued over the last several years, all of my pictures, business contacts, and all of the other accounts I followed — which inspired me daily — are all gone. Instagram needs to end its discriminatory practices immediately! !” wrote another woman claiming to be shadow banned. Both networks denied the shadow banning accusations. But how will you ever get discovered if you’re not in the feed or appearing in search results? 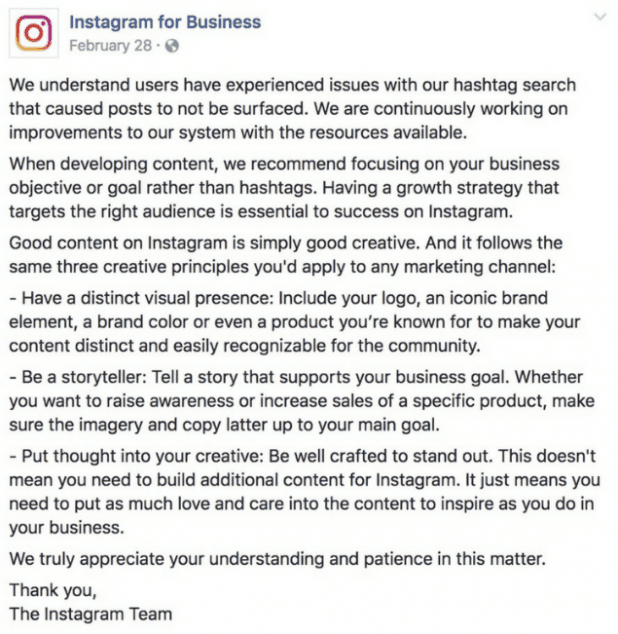 Instagram confirmed a hashtag search issue in a statement which many suspected was the company’s way of admitting to shadow banning without admitting to shadow banning. The company then quickly turned to discuss good content. But what good is good content if no one ever sees it? Whether for technical or malicious reasons, the massive decline in reach some users are experiencing is causing serious damage. Communities fostered for months and years gone overnight, content which took hours to produce automatically deleted, brand sponsorships evaporate, and protests are left unanswered. Shadow banning is the result of a fatal flaw at the core of social media – centralized control. Influencers put everything into building audiences and curating content for businesses they do not own. They have zero control over their work product, fans, and revenue, and can lose everything if the network sees fit to limit their reach. The lack of transparency regarding social media algorithms contributes to a growing sense of distrust. Realizing this, many leading celebrities are migrating to Personally Owned Platforms (POPs). Among the celebs to launch their own apps are Britney Spears, several of the Kardashian sisters, Demi Lovato, the Bob Marley Estate, Ashley Tisdale, Jeremy Renner, and many others. Personally Owned Platforms enable celebrities to meaningfully engage their audiences, gain greater autonomy, and enjoy new revenue streams free from the control, ownership, and censorship of large networks. As censorship, privacy, and demonetization scandals continue to plague social media, we can expect many more celebrities to jump ship and start connecting with fans on their own terms. Sephi Shapira is a serial entrepreneur who founded escapex in 2015 to provide personally owned platforms (POPs) for free, giving those with a large following a way to enjoy more freedom, retain more control, and keep more profits they earn from cultivating their following.